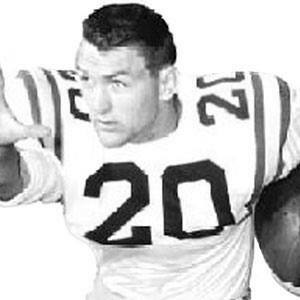 Won the 1959 Heisman Trophy while playing at LSU and in 2008, was inducted into the College Football Hall of Fame. He was a high-school star athlete in both football and track; he was known for being able to throw the 16-pound shot put 54 feet. After retiring from his pro-football career, he became a dentist; he was later convicted of counterfeiting and served time in jail. He fathered four daughters and one son with his wife Dorothy. His son, Billy Jr., was drafted in the first round of the 1984 NFL Draft by the Dallas Cowboys. He was friends with one of the men who testified against Jimmy Hoffa.